At Davam Urgent Care located in Magnolia, Texas, we are able to provide drug screening and drug testing for patients and employers. Our goal is to make drug screening easy and affordable for local businesses. Employers can create an account with our front office, to allow pre-employment drug screens. By doing this- future employees can simply walk in anytime between 8am-9pm, 7 days a week. After the testing is completed, the results will be faxed over to the employer within just a couple of minutes. Pre-employment drug screening in Magnolia, TX at Davam Urgent Care is very affordable. Six panel drug screens are $35. Ten Panel drug screens are $45. Twelve panel drug screens are $55. In addition to drug screening and testing we also offer many other occupational medicine services. This includes pre-employment physicals, non-dot physicals, tb testing, hearing tests, tetanus shots, animal bite treatment, laceration repair, on-site digital x-ray, and many more. Our clinic is also contracted with most major workers compensation insurance companies including Gallagher Bassett, Sedgwick, Texas Mutual, the Hartford, Travelers, Creative Risk Funding, and more under the Texas Star Network. For a complete list of worker’s comp insurance carriers accepted at Davam Urgent Care, please contact our billing office at (713) 487-3030. 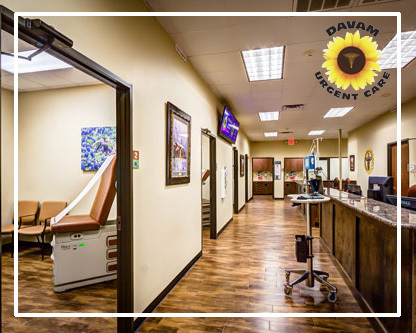 To find out more information on the occupational medicine services that Davam Urgent Care in Magnolia has to offer including pre-employment drug screens, please visit Davam Urgent Care’s website or call (281) 583-1980.